Juna (Юна) is a six-person band from Kazan, Russia, in the Republic of Tatarstan. Often playing more than ten instruments simultaneously, Juna is known for its ethnic, instrumental sound, and consists of members: Aniya Fayzrakhmanova (vocals, keys), Sergey Prokofiev (flutes), Alexander Mustafin (backing vocals, ukulele, banjo, metallophone), Timur Milyukov (guitar), Irina Lakota (bass guitar), and Ekaterina Rostovova (cache, djembe, percussion). The group formed with humble beginnings, meeting at Kazan Federal University. Like most university students, the members were plagued by work and study; in the early years of Juna’s existence, the group limited their rehearsal time to once a month, and performances to once a year, primarily playing covers of foreign songs at university festivals and Kazan cafes. Following graduation, the band’s trajectory took a turn; now able to focus on creating music, Juna attended its first successful event in 2014 by participating in Bikafest, a festival meant to promote Tatar music and music in Tatarstan. The group won first place in the category of instrumental groups. Following this success, the group took a stylistic turn, moving more towards ethnic Tatar music. 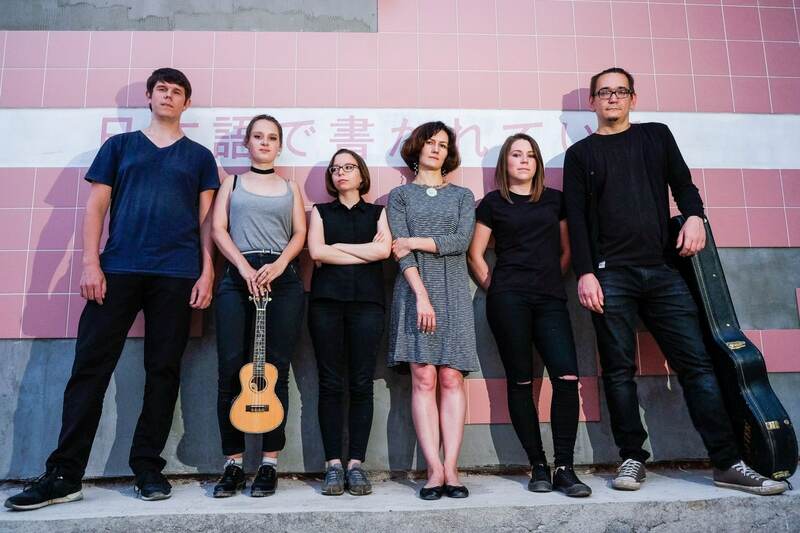 At their next Bikafest, the group created a musical arrangement based off Tatar poet Hadi Taktash’s “Forest Girl.” It became the group’s first major hit. Later, at another Tatar festival called Мин татарча сойлэшэм, the group connected to a music label, Yummy Music, which specializes in Tatar music. Soon after, the group recorded their first two songs, releasing their first EP (mini-album). They were invited onto the Night Broadcasting Territory on TNV, one of Tatarstan’s major TV channels. Now, Juna regularly performs on television, performs live radio concerts, and circulates their songs through several media platforms, including YouTube and VKontakte.